The virtual tour begins in the parking lot, then into the building, and then showcases the interior of the massage studio. 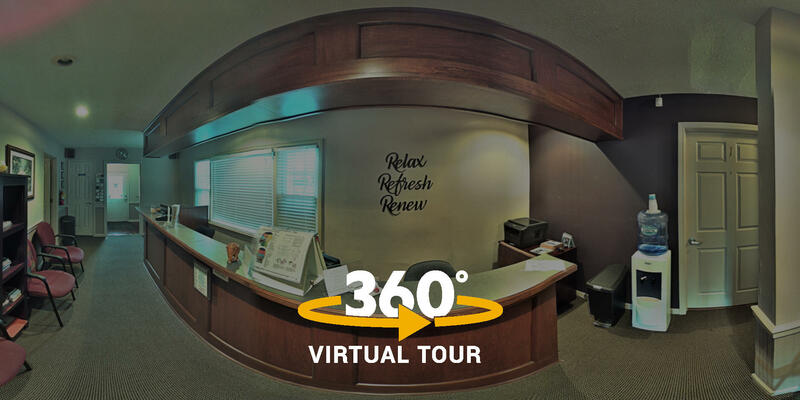 The Google Business listing for Therapeutic Massage Centre now has specific Indoor 360° and Outdoor 360° photo sphere buttons displayed. A custom business logo for Therapeutic Massage Centre was created and inserted into each indoor photo sphere for an official branded look.